Creative Options Pro Latch Craft Utility Box - CREATIVE OPTIONS-Pro-Latch Deep Utility Box. Keep all your small items and embellishments organized with these utility boxes. This package contains one clear utility box with secure black latches. 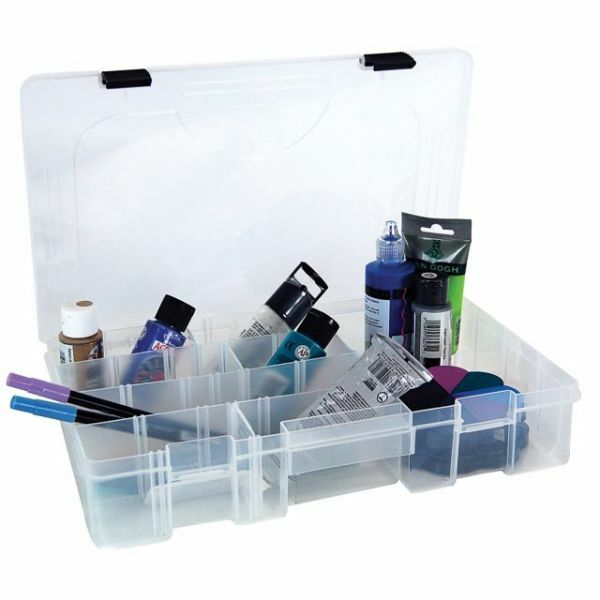 This box measures 2-3/4x14-1/8x8-7/8in and comes with 6-21 adjustable compartments. Made in USA.